If you and/or the offender have insurance, a claim must be submitted to them first before the State can seek restitution for losses not covered. You may also be eligible for reimbursement through the Victims Compensation Program. What is not covered by restitution? 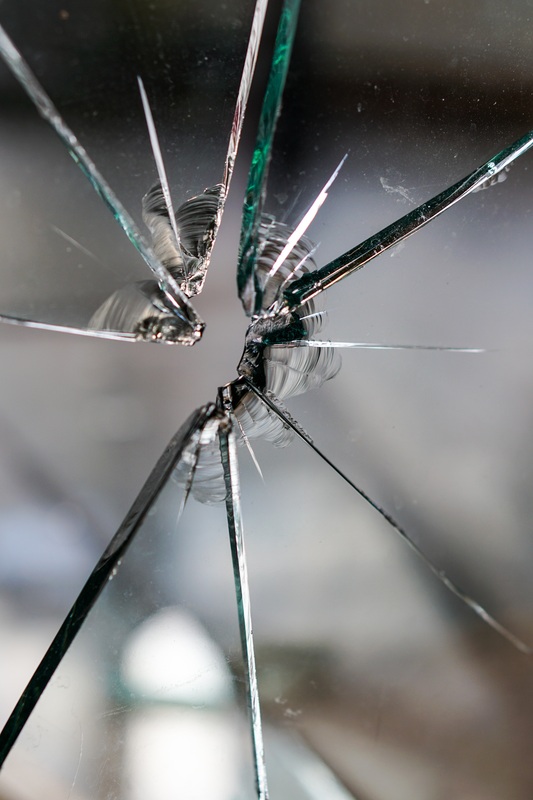 Restitution can only be ordered for uninsured losses sustained as a direct result of a crime. Things like pain and suffering, inconvenience, or increases in insurance premiums are not eligible for reimbursement through the restitution process. You may be able to bring a civil lawsuit against the offender for losses that are not included in the restitution order. If you wish to explore the possibility of a civil suit, you would need to consult with an attorney. Since restitution is only for uninsured losses, you are strongly encouraged to submit claims through any available insurance policies, as well as the Victims Compensation Program when applicable. Be sure to update your advocate if your uninsured losses change. If you have any questions about documenting your losses, contact your Victim Advocate or the Restitution Unit for assistance. What happens after I submit the claim form with documentation? The information you provide will become part of the criminal case file and will be used to support your request for restitution. In order for restitution to be ordered, the offender must be convicted. The offender has the right to challenge the claim, in which case a separate restitution hearing will be scheduled. At this hearing, you may be asked to testify about your losses. The Judge will decide how much restitution, if any, an offender is ordered to pay. If a case is dismissed, or a defendant is found not guilty, the State will not be able to seek restitution on your behalf through the criminal justice system. The court ordered the offender to pay restitution to me. What happens next? The Court will send a copy of the Restitution Judgment Order to the Restitution Unit, which is responsible for enforcing the orders, and your Victim Advocate will send your contact information. The Restitution Unit will send you an affidavit to verify that there is no insurance that could cover your loss and that no one else will be paying for your loss. If additional documentation is needed to verify your loss, you will be asked to return that information along with your signed and notarized affidavit. Once this paperwork has all been returned and the loss has been documented and verified, the file is held for 40 days (from the date the Restitution Judgment Order was signed by the Judge) to ensure the offender has not filed an appeal. If you receive advance payment, the offender is still responsible for paying the full amount of the Restitution Judgment Order. Any losses not found eligible for advance payment from the Fund will be paid to you as the Restitution Unit is able to collect from the offender. What if my loss is business-related? By Statute, business victims are not eligible for advance payment from the Restitution Special Fund. This applies to all businesses regardless of size or structure (sole proprietors, partnerships, LLCs, corporations, non-profits, etc.). What may hold up my payment? Not returning the Restitution Unit affidavit in a timely manner and not submitting documentation, if requested. Also, not notifying the Restitution Unit of any address changes. When the Restitution Unit receives the Restitution Judgment Order from the court a case manager will be assigned. Case managers prefer to work cooperatively with offenders regarding restitution payments and will start the process with mail notification and then phone calls to discuss different payment options. Quite a significant amount of time may be spent trying to find the offenders. What can the Restitution Unit do when an offender does not pay his court-ordered restitution? The Restitution Unit has civil enforcement remedies which may include, but are not limited to, wage withholding, property liens, attachment and sale of assets and suspension of recreational licenses. However, these remedies may be limited by the offender’s level of assets and/or State/Federal laws. What happens if the offender is referred to the Diversion Program or Pre-Charge Program? They will address your request for restitution. Restitution is handled in the same manner as adult restitution. The Restitution Unit can collect once the juvenile turns 18. Prior to juveniles turning 18, any collections may be handled by the Department of Children & Families (DCF). We realize that restitution can be confusing and overwhelming. If you have questions about any of this information, please contact your Victim Advocate. For further assistance, the Restitution Unit can be reached at 1-800-584-3485 (Vermont only) or 1-802-241-4688.